THOUSANDS of druids, revellers, tourists and families stood side by side to welcome the sunrise at Stonehenge this morning. 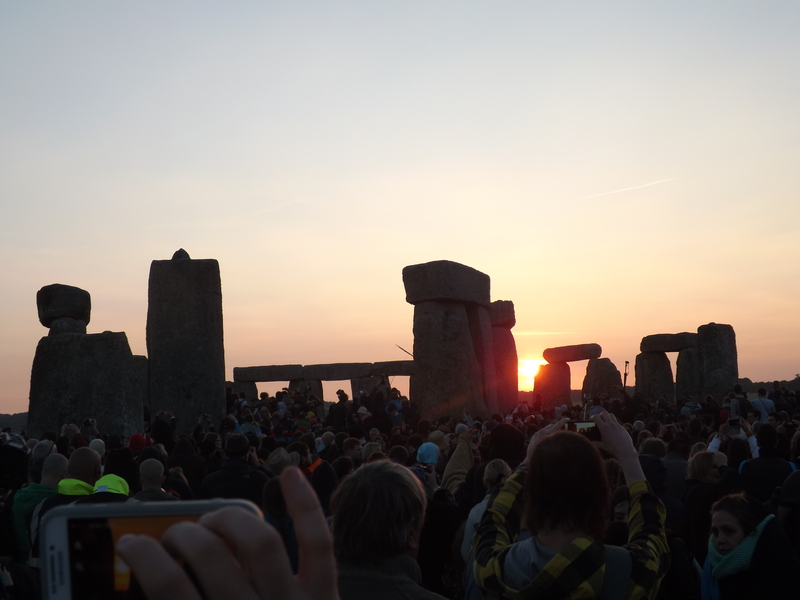 The longest day falling on a weekend and the clear sky drew a crowd of about 36,000, 15,000 more than last year, to the Summer Solstice at the ancient monument. 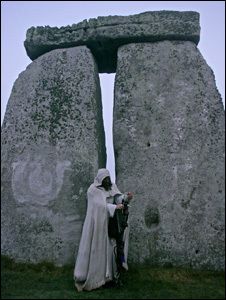 While party-goers banged drums and cheered in the stone circle, the Loyal Arthurian War Band druids performed their spiritual ceremony by the Heel Stone. People come from all over the world to be a part of the celebrations at Stonehenge and the bumper crowd were treated to one of the best sunrises at the monument in years. This year’s mood seemed more subdued than previous and Wiltshire Police said 25 arrests were made at Stonehenge and two at Avebury, which were mainly for drug related offences. Superintendent Gavin Williams said: “We are please the Solstice celebrations have been enjoyable events for the majority of people attending. The road system worked well and many people used the public transport as we advised. Please help us to create a peaceful occasion by taking personal responsibility and following the Conditions of Entry and guidelines set out on these pages. You can follow @eh_stonehenge on Twitter for travel updates on the night. We hope the weather will be kind and wish you a peaceful and celebratory solstice. For information on accommodation providers in the county of Wiltshire and other attractions and services in the area, please see the Visit Wiltshire website. Stonehenge is approximately 2½ miles (4 kms) from the town of Amesbury. The nearest bus and railway stations are in Salisbury, which is 12 miles (19 kms) away from Stonehenge.